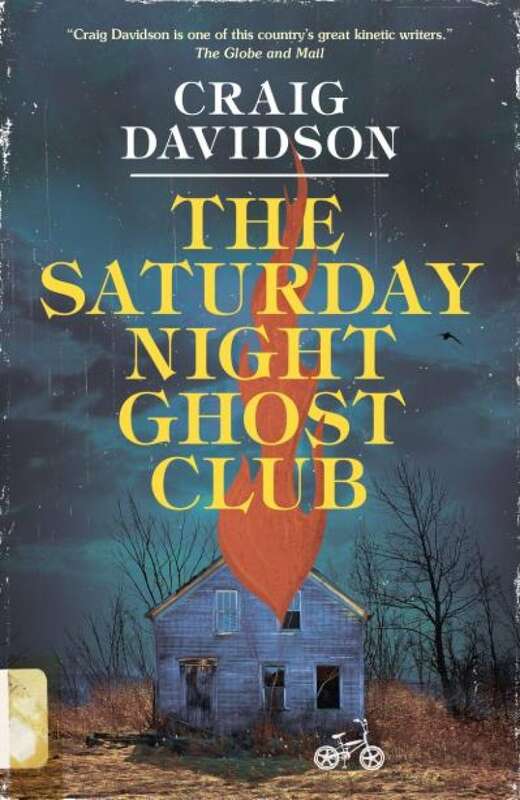 The Saturday Night Ghost Club is a novel by Craig Davidson. When neurosurgeon Jake Baker operates, he knows he's handling more than a patient's delicate brain tissue — he's altering their seat of consciousness, their golden vault of memory. And memory, Jake knows well, can be a tricky thing. When growing up in 1980s Niagara Falls, a.k.a. Cataract City — a seedy but magical, slightly haunted place — one of Jake's closest confidantes was his uncle Calvin, a sweet but eccentric misfit enamored of occult artefacts and outlandish conspiracy theories. The summer Jake turned twelve, Calvin invited him to join the "Saturday Night Ghost Club" — a seemingly light-hearted project to investigate some of Cataract City's more macabre urban myths. Over the course of that life-altering summer, Jake not only fell in love and began to imagine his future, he slowly, painfully came to realize that his uncle's preoccupation with chilling legends sprang from something buried so deep in his past that Calvin himself was unaware of it. The Saturday Night Ghost Club was on the Rogers Writers' Trust Fiction Prize shortlist. I was convinced that if I said "Bloody Mary" in front of a mirror, a hideous witch-woman would reach through the glass with nails sharp as splinters. I considered it a fact that the Devil lingered at shad­owy crossroads and went to dance halls in disguise, where he'd ask the prettiest girl to dance and reel her across the floor while spectators stood terror-stricken at the sight of the Devil's goatish shanks, until the girl fainted dead away and the Unclean One vanished in a puff of brimstone. There was no falsehood I wouldn't swallow, no quilt of lies you couldn't drape over my all-too-gullible shoulders. But for a boy like me — chubby, freckled, awkward; growing up in a city where the erection of a new Kmart occasioned our mayor to announce, "This marks a wondrous new chapter in our town's history" — imagination was my greatest asset. Not to mention my defence against a foe worse than the most fearsome monster: loneliness. From The Saturday Night Ghost Club by Craig Davidson ©2018. Published by Knopf Canada.